Your website content is a fundamental part of your overall site. You could have a beautifully designed website with an intuitive customer journey and top-notch functionality, but if your content is wrong, your site won’t perform as it should. Your content says a lot about you and your business so getting it right should be a priority. If you make the right impression, this will lead to higher conversions and more sales. Your customers will trust you and your professionalism will shine through. We all have our own areas of expertise but often with writing, it’s assumed anyone can do it. Most people can write about the things they know but to be able to communicate effectively with an audience is a different kettle of fish. It’s ok if you’re not a wordsmith. There are people you can hire. If you want your site to be more SEO friendly and really speak to your target market, it might be something you want to consider. Despite understanding the above, there are still companies out there trying to cut corners or not investing proper time or money into developing quality content for their site. It’s no surprise then that common mistakes are appearing time and time again. Yes, it is rife! It’s shocking that so many sites are still plagued with spelling mistakes. We all have access to spellcheck and these mistakes are usually put down to sheer laziness. This sort of mistake is simply unacceptable in today’s market. You’re not casting an air of professionalism when using the incorrect there, they’re, or their. If you’re writing your own content, use spellcheck. Make sure the spellcheck language is set to the correct one (US or UK English). Then have a trusted colleague or professional proofread it. Sometimes it’s easier to spot mistakes others have made. This is an absolute no. Lifting content from another site is asking for trouble. You could face legal action. Aside from this obvious reason not to do it, Google just doesn’t like duplicate content. If it has seen it before, Google will just ignore it meaning your pages won’t be indexed and therefore potential customers won’t find your site. Google will penalise your site for having too much duplicate content, so your organic traffic will suffer. You can use competitor’s content for inspiration but be sure to rewrite it in your own words. If you’re still concerned, there are free plagiarism checkers online too – just to make doubly sure. If you keep your site up to date, duplicate content shouldn’t be an issue for you. It is worth checking though as it does have a significant impact. All too frequently businesses focus on their business rather than their readers. Usually, this comes in the form of internal jargon and information that is irrelevant to the customer. Don’t forget your potential customer may not have the same in-depth understanding that you have. To be blunt, they may not care for it either. Stick to simplicity. Explain things in plain English. There’s no need to overwhelm your visitors with useless information that may seem relevant to you but in actuality has no bearing on the customer’s decision to purchase. It’s boring and unnecessary. This is a toughie for some. A lot of companies want to explain their product or service in minute detail. They want to leave no stone unturned and they want every page to read like War and Peace. This is unbelievably off-putting for readers. Most people just don’t have the patience. They want their information delivered quickly. If you don’t get to the point, a lot of people can’t be bothered and will hit the back button. As well as this, a web page with reams of content doesn’t work well on mobiles or tablets. Save it for your blog or FAQs. Sum up what you’re getting at as succinctly as possible. If you can say it in 200 words, don’t use 2000. Give your visitors the key information and then leave it to them to decide if they want to learn more. Awareness, consideration, purchase. These 3 areas are hugely important and if the balance isn’t right, you risk losing potential customers. You need to make sure each part of your customer journey is covered from start to finish. This doesn’t mean thousands of words, it just means there should be something to show at each stage of the process. Each and every piece of content on your site should serve a purpose. What you do, how you do it and why you do it – not necessarily in that order! Your calls to action are going to guide your customers through their journey, be it through a ‘learn more’ link or ‘book today’. Lack of CTAs my well mean lack of closures. This is something that really puts people off. If your information isn’t delivered in a methodical and logical way, it can be overwhelming for customers. Your customer’s journey is your number one consideration. If your site is without continuity, you’ll find people hop off the bus because they don’t know where they’re going. Your web developer will be able to structure your site-map, but they may need the content to begin with in order to figure out how the site needs to operate. This can often lead to a bit of a stalemate as you need one for the other and vice versa. The best advice in this situation is to think logically about how your site will work. What are your menu titles? What will your subcategories be? Once you have a rough idea of how each will be broken down, you can think about what content will be housed on each page. Now you know the common pitfalls, you can take your site to the next level. 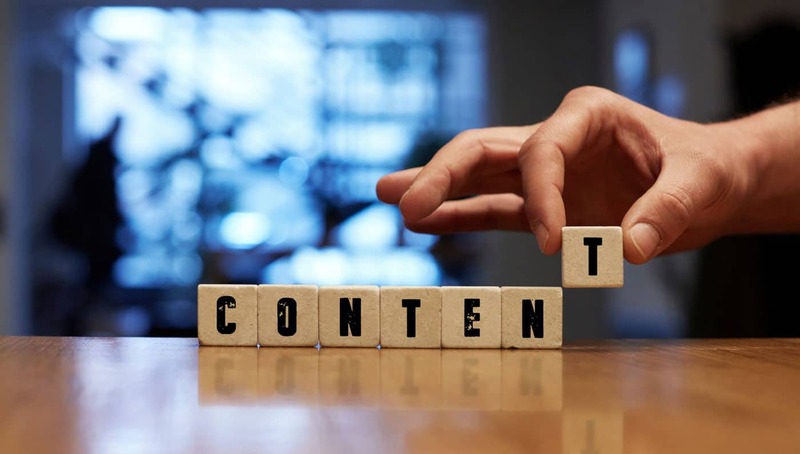 Never underestimate the power of quality content and never underestimate the negative impact poor content will have on your business. If you’re still having trouble or need a starting point, check out this free content creation cheat-sheet Content Creation Cheat-Sheet. Louise is a Kent based freelance writer and VA (among other things). When she’s not tapping away at the keyboard with a cat on her lap, you’ll find her roaming the streets of London selling beer or teaching Yoga to beginners. If you’re interested in hiring her or just fancy a chat, you can contact her via her website https://louiseharman.com/ or LinkedIn.